This latest recording by Jana is intended for healing work, whether it is self-healing or ceremonial group healing. 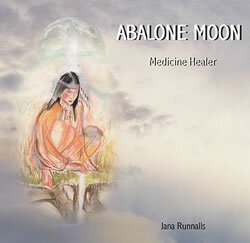 It includes beautiful healing Medicine songs from different Native American traditions, as well as an original song by Jana 'Children's Fire' and 'Abalone Moon' by Kat Brown. It also offers fast 'Fire Drum' drumming tracks and 'Heartbeat' rhythm for those people wanting to simply experience a drum healing. The last title track is the latest sacred chant by Kat Brown, which is a dreaming song - to expand and nurture the soul!